Are you passionate about sustainable purchasing, green alternatives, and eco-friendly gifts? It can be frustrating trying to be friendly to the environment at gift-giving time. know you are thinking of them while also thinking about the environment. There are tons of great gift ideas that are made with recycled, reclaimed, or organic materials. But one of the best ways to protect the environment while purchasing for your friends, family, or office mates is to shop locally and from small businesses. Smaller businesses who cater to locals typically have a much smaller eco footprint and follow more sustainable practices. Family-owned small businesses and local farms are more eco-friendly, because they require less transportation, less infrastructure, and less waste. And buying from them shows others you care about saving the planet. 1. Beeswax Candles: Rather than putting toxic chemicals into the air just for a pleasant smell, or using petroleum-based ingredients as a base, beeswax candles go straight to nature and are much better for the environment. They can also be found in many pleasing aromas. 2. Bamboo Items: There are so many cool gifts made from this renewable source! You can gift bamboo pens, pen holders, toothbrushes, you name it! 3. Solar Chargers: We’re not about to give up our convenient devices. But a solar charger for a mobile, iPod, or other electronic device is the perfect way to combine utility with renewability. 4. 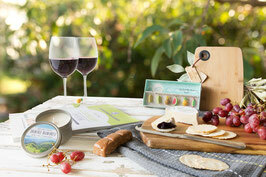 Local Wines: Support local vineyards and give elegant, eco-friendly gifts. You can put a bow on a single bottle for a simple gift or create a hamper to make an even bigger impression. 5. Handmade Gifts: Nothing shows how much you care like a handmade item that is crafted from recycled or repurposed materials. 6. Plants: Everyone loves plants. They make a house a home and an office a welcoming and vibrant place. They also recycle CO2 and purify the air we breathe. 7. 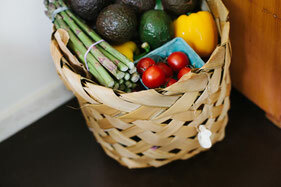 Produce Hampers: Support local farmers and artisans by giving a gift hamper filled with locally grown or produced food. Unlike the mass produced ones from large companies which we have all dreaded receiving, locally produced gift hampers make a quality yet practical gift, while being an eco-friendly option. It’s easy to do your part for the environment if you just put some thought into it. Giving eco-friendly gifts is the perfect way to save our planet while showing others you care.